If you haven’t had the chance to visit Lancaster County yet, I couldn’t fault you for thinking that the only things to do in Lancaster, PA involve the Amish. For decades, the plain community and their traditional ways have put this agricultural region of Pennsylvania on the map. 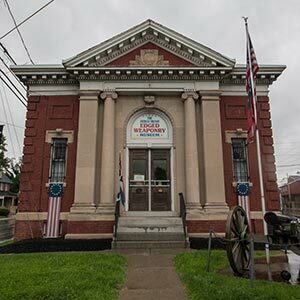 While thousands of tourists continue to flock to Lancaster to learn more about the Amish community, visitors are starting to take notice of the growing arts, culinary, cultural, and downtown scenes in this small but rich region. Agricultural excellence has created an abundance of farm fresh ingredients for local restaurants and cafes to choose from. 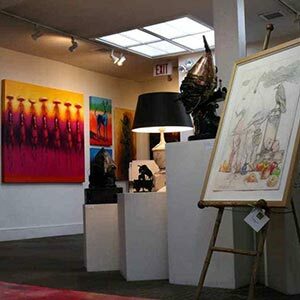 The celebration of unique and fine arts has led to an explosion of downtown galleries and theaters in Lancaster, PA. Lancaster’s historical significance makes for beautiful agriculture and various museums. As Amish farms border Lancaster hotels, a drive through this diverse region will reveal the many things to see, taste, and explore in Lancaster City and beyond. In fact, one of the best ways to experience Amish Country is to drive down some back roads, explore the beautiful farmland, and pass an Amish buggy or two. Then, head into the more urban areas for surprisingly authentic ethnic food, high-class arts, and other unique cultural attractions. 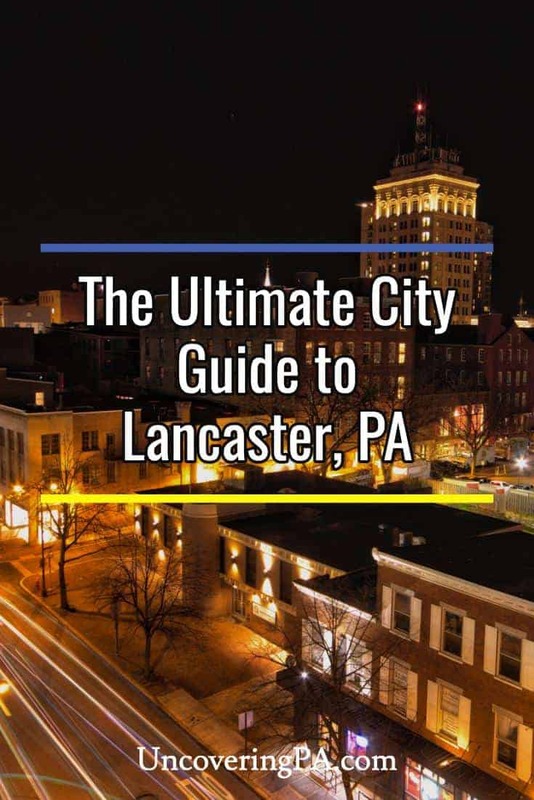 If you’re considering a trip to Amish County, check out our guide to Lancaster, PA to determine what to do in and around the city that will allow you to truly experience all this region has to offer. 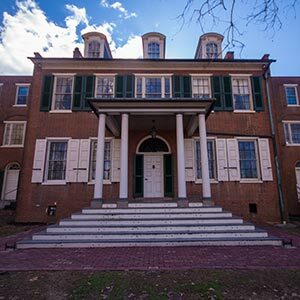 Below you will find our tips for eating, sleeping, and other things to do in Lancaster, PA. Scroll to see all of our suggestions or click the links below to jump to an area of the page. Wheatland Just outside the Lancaster City limits sits Wheatland, the stately home of James Buchanan that has largely been preserved since the former president and Pennsylvania native resided there. 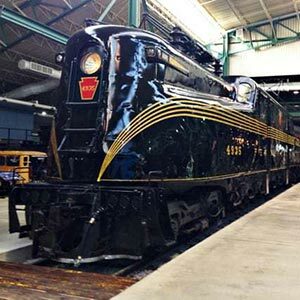 Railroad Museum of Pennsylvania With over 100 pieces from 18 different Pennsylvania railroad companies, this Strasburg museum’s restored displays make for an exquisite and educational reflection of train travel. 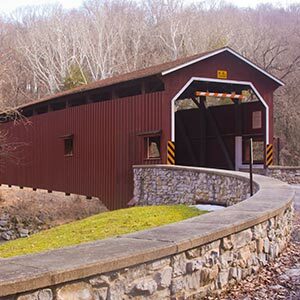 Covered Bridges As the home to 29 covered bridges, you can explore Lancaster County by traveling from the northeastern bridges, to the northwestern bridges, to the southwestern bridges. American Military Edged Weaponry Museum This top-notch but unassuming museum showcases American military history and how it has evolved over the years in a unique way through edged weaponry. National Watch and Clock Museum The largest watch and clock museum in North America boasts an impressive collection of historical timepieces, many of which were made in and around Lancaster County. Julius Sturgis Pretzel Bakery Gain a new appreciation for pretzel making, become an official pretzel twister, and enjoy a fresh hot pretzel at this old-fashioned bakery. Demuth Museum Renowned modernist painter Charles Demuth’s Lancaster City birth home now serves as a nationally respected museum that celebrates the legacy of the influential Demuth family. 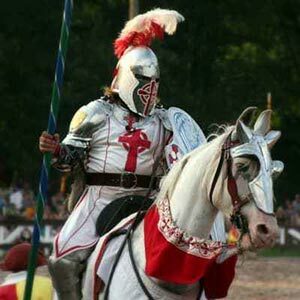 Pennsylvania Renaissance Faire Be transported into a world of 16th-century noblemen and Renaissance-era minstrels through spirited performances which can entertain visitors of all ages. Gallery Row Downtown Lancaster’s growing art scene celebrates the unique talents of local artists and brings world-class fine art to the agricultural region. Sight and Sound Experience Broadway-quality productions as this local stage brings the Bible to life with live animals, flying angels, and other breathtaking effects. 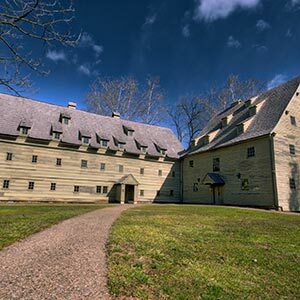 Ephrata Cloister One of colonial America’s most unusual religious societies offers a glimpse into early Pennsylvania and a reminder not to take our religious freedoms for granted. Amish Village Learn more about the unique Amish community in the middle of Pennsylvania Dutch Country with back-road bus tours and an authentic farmhouse. 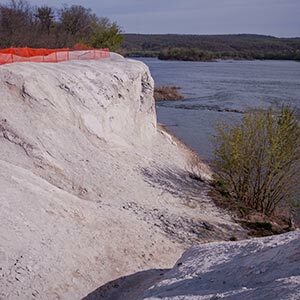 White Cliffs of Conoy Large white mountains, the byproduct of a once-local limestone quarry, now make for a unique and easily accessible sight along the Susquehanna River. 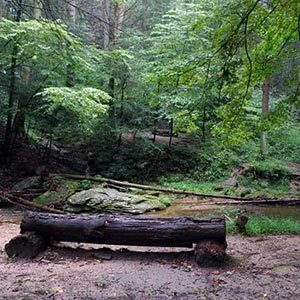 Tucquan Glen The naturally interesting and customizable trails make this nature preserve one of the most popular destinations in the county for outdoor enthusiasts. Nookside Stables Learn the basics of riding a horse through a leisurely yet enjoyable horseback riding adventure course sandwiched between a highway and an Amish farm. 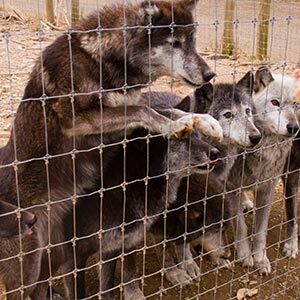 Wolf Sanctuary of PA Get up close and personal with multiple wolf packs while gaining an amazing amount of information about these powerful animals. Chickies Rock This overlook is only a short walk from the parking area and offers impressive views of the Susquehanna River, as well as several neighboring counties. 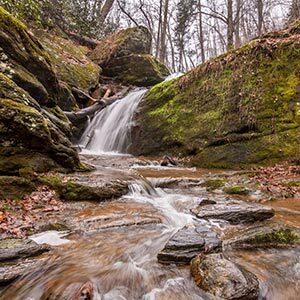 Mill Creek Falls Just across the Susquehanna River in York County lies an impressive 20-foot waterfall, along with much history and adventure in the surrounding area. See our full archives of things to do in Lancaster County, Pennsylvania. 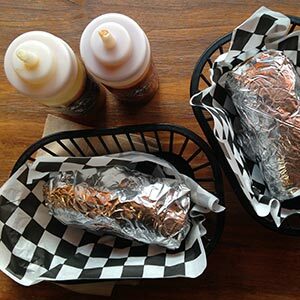 Roburritos For burritos that are as large as they are delicious and for an array of flavorful hot sauces, grab a seat at this unique eatery. La Cocina Restaurant This Dominican restaurant brings authentic Latin American cuisine to downtown Lancaster with passion, affordability, and a ready smile. Silantra Experience the freshness of Lancaster’s produce through an Asian flare with scallion pancake wraps, rice bowls, and as many toppings as you desire. Issei Noodle From ramen to pho to tofu to spring rolls, get a taste of the flavors around the Asian-Pacific rim in the middle of Amish County. 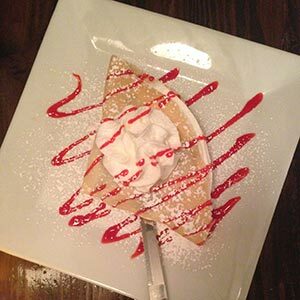 Rachel’s Cafe and Creperie With sweet and savory options, like Fresh Berry Cheesecake and Thai Chicken, this cafe gives French cuisine a tasty American twist. 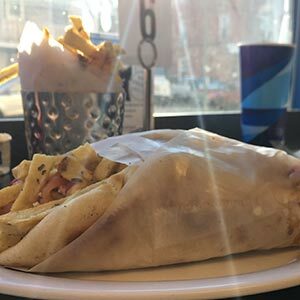 Souvlaki Boys The Boys from Greece serve classic street food like gyros, spanakopita, tzatziki, and baklava with fresh ingredients prepared from scratch. 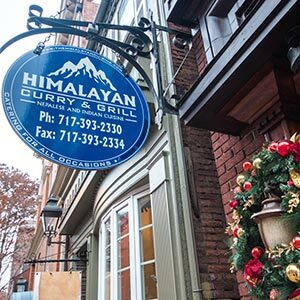 Himalayan Curry and Grill This Nepalese restaurant is well known around Lancaster and is always packed with patrons thanks to its traditional cuisine and passionate owners. 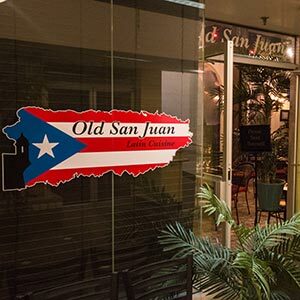 Old San Juan Inspired by the Puerto Rican city with the same name, this Latin American restaurant presents classic cuisine such as guacamole, bistec, and tres leches cake in an elegant fashion. 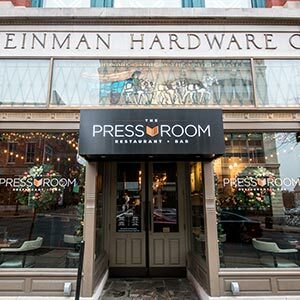 Pressroom From mainstay salads and pizzas to inventive fries and burgers, this restaurant and bar can appeal to a variety of tastes. Horse Inn Ever since 1920, this restaurant’s dedication to its craft and to Lancaster County come through in its modern take on retro charm. 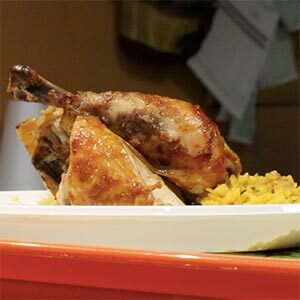 Callaloo Trinidadian Kitchen The flavors of Trinidad come to Lancaster through creative fusions of fruits, spices, and meats at this new downtown eatery. 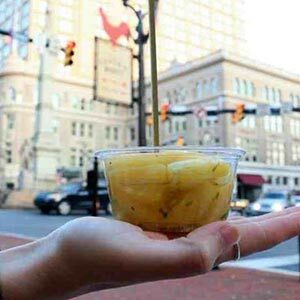 Cork & Cap Restaurant Enjoy Pennsylvania Dutch comfort food with a contemporary twist through fresh soups, salads, seafood, and other meats in the historic Cork Factory Hotel. 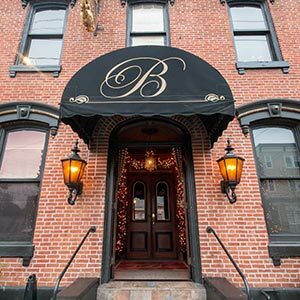 The Belvedere Inn Dig into seasonal lunch, dinner, and dessert dishes at an elegant dining atmosphere in the midst of Lancaster’s artistic Gallery Row. Luca Experience the culinary traditions and charm of Italy with thoughtfully crafted pizza, pasta, and other classic Italian dishes at this wood-burning Italian kitchen. 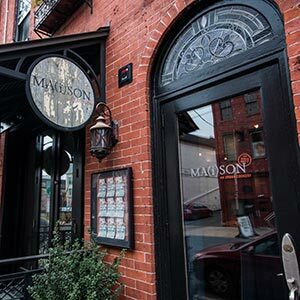 Ma(i)son This self-described urban cookery’s simple menu of local meats and produce reflects its respectful approach to Lancaster County’s best ingredients. Carr’s Restaurant With plates such as applewood bacon BLTs, wild mushroom ravioli, and lamb meatballs, this Lancaster-based culinary destination infuses elegance into all its menu offerings. 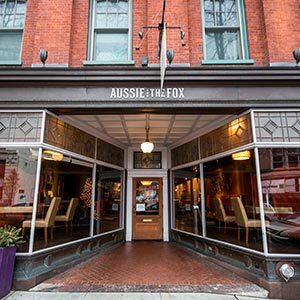 John J. Jeffries By prioritizing local, organic products, this restaurant features farm fresh plates based on the season in the Lancaster Arts Hotel’s fine dining environment. Lancaster Sweet Shoppe The locally crafted chocolate from Groff’s Candies, ice cream from Pine View Dairy, and stroopies made on site at this dessert destination can satisfy any sweet tooth. 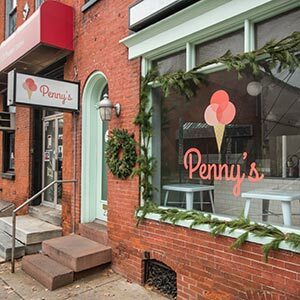 Penny’s Ice Cream Catch the pastel-colored ice cream truck or stop by the downtown storefront for a taste of what this family owned and operated ice cream shop has to offer. 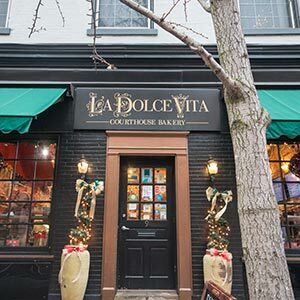 La Dolce Vita Courthouse Bakery Step into another world and the appetizing aromas at this Italian-style bakery featuring freshly crafted cakes, breads, sandwiches, and espresso. 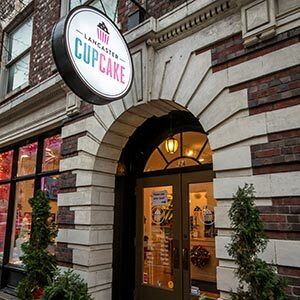 Lancaster Cupcake After earning second place in the Food Network’s Cupcake Wars, this quickly expanding bakery produces specialty cupcakes to reflect the season and local ingredients. Beiler’s Donuts No matter if you’re craving Boston creme pie, apple fritters, to maple bacon, this bakery has you covered with both classic and unique donut flavors. Rolled Cold Creamery This creamery brings the rolled ice cream trend to Pennsylvania Dutch Country with delicious flavors crafted through a meticulous process. Maplehofe Dairy At this small town dairy which doubles as an ice cream destination, the ice cream is delicious, but the impressive serving sizes are even better. Passenger Coffee This minimalistic cafe space is the humble storefront of a people and planet-focused specialty coffee company that supplies coffee along the east coast. 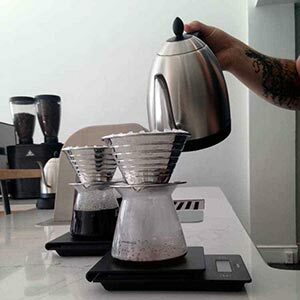 Cafe One Eight White brick and wood details complement substantial cafe fare and diverse beverage options for an aesthetic and delicious cafe experience. 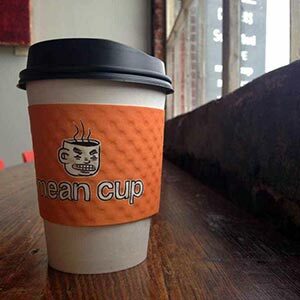 Mean Cup With a variety of hot and cold coffee and tea offerings, this industrial cafe knows its strengths and strives to perfect them in a high-energy environment. 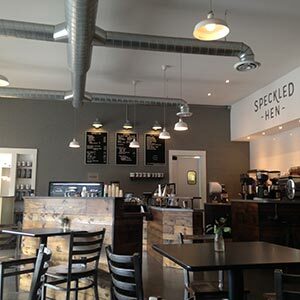 Speckled Hen Coffee This spacious cafe space in Strasburg features an array of delicious breakfast, lunch, and dinner options to pair well with its specialty beverages. Cafe di Vetro Second-story loft seating, plush couches, hearty food options, and Italian-style beverages make this coffee shop one of the many unique cafes in Lancaster City. 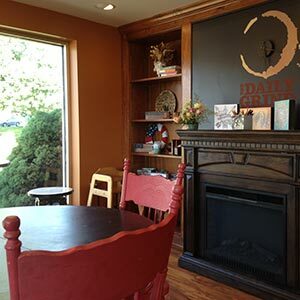 The Daily Grind Quarryville This Quarryville cafe takes local to a whole new level with flowers from neighboring Amish farms, milk from the small town dairy, and homemade baked goods. 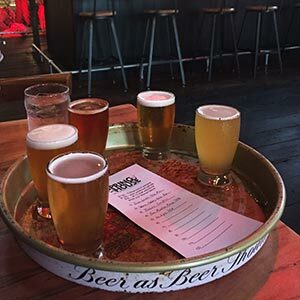 Wacker Brewing Company Since the company opened in 2014 under the same name as one of Lancaster’s historic breweries, the destination has offered good beer, tasty food, and an inviting taproom. 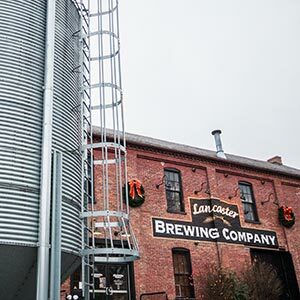 Lancaster Brewing Company This Lancaster-based brewing company strives to represent the county’s quality ingredients, artisan craftsmanship, and skillful creativity in its food and drinks. 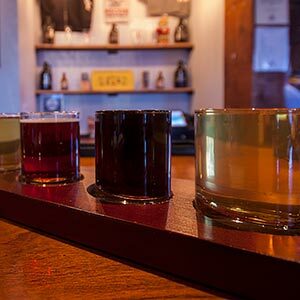 Spring House Brewing By approaching its product as more of an art than a science, this brewery fits right into the burgeoning beer scene in downtown Lancaster. Nissley Vineyard Located on 300 acres of rich Lancaster County soil, this vineyard and winery produces 30 wines that range from dry to very sweet. Waltz Vineyard This six-generation family farm still hand picks its carefully grown grapes and takes advantage of local contractors to maintain its modern winemaking technology. Thistle Finch Distillery Take a step back in time and learn more about the process of distilling with a drink in hand at this rustic yet elegant destination in downtown Lancaster. See our full list of the best Lancaster breweries. The Lancaster Marriott at Penn Square is one of many great places to stay in Lancaster, PA.
Lancaster Marriott at Penn Square $$$ This elegant hotel helps sits in the very center of Lancaster City and is a historic destination even for those who are not spending the night. 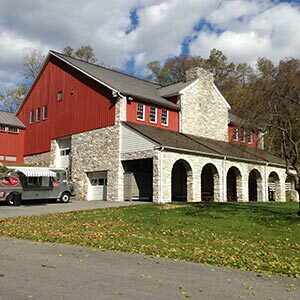 Lancaster Arts Hotel $$$ This tobacco warehouse turned hotel features original works of art from local creators and a farm-fresh dining experience at its on-site restaurant, John J. Jeffries. Cork Factory Hotel $$ The brick walls and wood ceilings of historic cork and glass companies have been preserved for this renovated hotel, event venue, and restaurant. Fulton Steamboat Inn $$ Stay aboard a steamboat without ever leaving land at this unique Lancaster hotel, which is also a short drive away from rural and historic Strasburg. Tru by Hilton Lancaster East $$ This new establishment reimagines hotels in Lancaster, PA with bright colors and innovative accommodations in the hopes of creating a young and energetic, yet relaxing and comfortable experience. Quality Inn $ Located among various Lancaster attractions and famous Lancaster, PA outlets, this hotel’s direct highway accessibility allows for easy travel in any direction. You can also check out Lancaster hotel reviews on TripAdvisor. 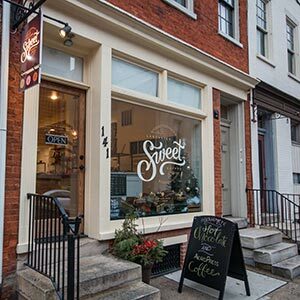 Lancaster Without the Amish Use this two-day itinerary to explore the best of Lancaster County’s arts, culture, and food. There’s a lot more to the city and county than just the Amish. Philadelphia One of the biggest cities on the east coast is only about a 1.5 hour drive away from Lancaster County. 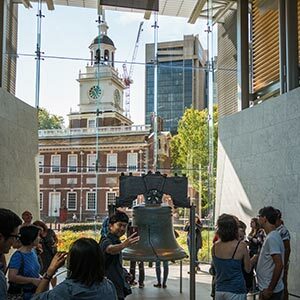 As one of the primary settings for the birthplace of the United States, Philadelphia contains amazing history, such as Christ Church, Independence Hall and the Liberty Bell, alongside modern attractions like the Philadelphia Museum of Art and the Philadelphia Zoo. Gettysburg A little over an hour to the west of Lancaster lies another location steeped in American history. 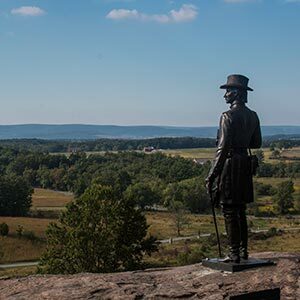 In a town best known for the Gettysburg Battlefield, sites such as the Seminary Ridge Museum and Gettysburg Museum of the Civil War provide background on the war and that time period. But the town also contains other great historical sites such as the Gettysburg Dime Museum and a delicious food tour. Hershey In just over a half hour, you can arrive at one of the sweetest places on earth. Hershey’s Chocolate World and Hersheypark offer tasty treats and exhilarating rides, while sites such as Hershey Gardens, Cocoa Kayaks, and Troegs Brewery can give you an alternative taste of Chocolate Town USA. The nearby capital of Harrisburg also contains many things to see and do. 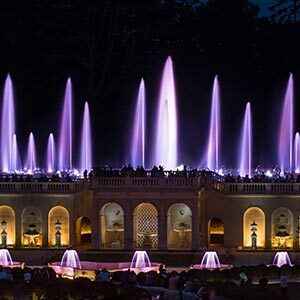 Kennett Square The beautiful Longwood Gardens is worth the hour-long trip to Kennett Square in and of itself. But the mushroom capital of the world and the surrounding Chester County also offer the surprisingly interesting Antique Ice Tool Museum, unique Nottingham Serpentine Barrens, and educational American Helicopter Museum. 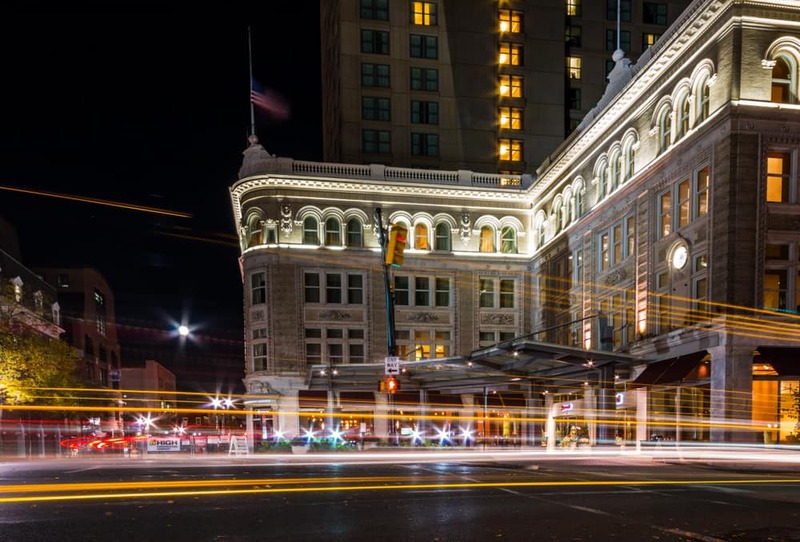 Reading The hustle and bustle of the fifth largest city in Pennsylvania is less than an hour away from Lancaster County. 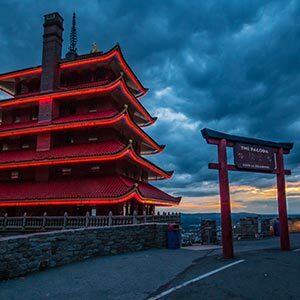 Reading contains a little bit of everything for just about everyone, with aviation history at the Mid-Atlantic Air Museum, delicious food and brews at Chatty Monks Brewing, the Japanese-style Reading Pagoda, and the unexpectedly artful Reading Public Museum. York Just across the Susquehanna River sits York, a county with a rich agricultural and manufacturing past. Learn about the production of everything from motorcycles at the Harley Davidson Factory and soaps at the Sunrise Soap Company, to violins at Bluett Bros. Violins and snack foods. See even more great weekend getaways in PA.